Propaganda files, weapons and explosives have been confiscated. 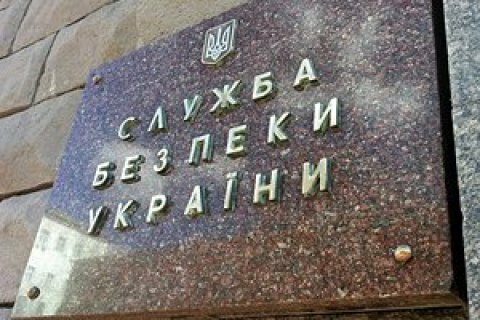 The Security Service of Ukraine (SBU) is holding over 25 authorised searches of individuals suspected of assisting Russia to hold anti-Ukrainian activities. The searches are taking place all over Ukraine, SBU spokesperson Olena Hitlyanska has said on Facebook. "Propaganda materials, weapons, explosives and a lot of other evidence of sabotage against our country have been found during the searches. More detailed information will be published on the SBU website after the due procedural measures have been completed," she said. Hitlyanska said there are journalists among the suspects. The operation kicked off at 5 a.m. in all the regions at once, a source in law enforcement told LB.ua. "The efforts are focused on the south – Zaporizhzhya, Kherson, Mykolayiv and Odesa regions – and the Transcarpathian Region," the source said. Asked whether there is a connection between today's operation and the arrest of the head of the Office Corps Centre for Prisoner Release, Volodymyr Ruban, the source said it was "only indirect". "After a series of explosions and destabilization events, it is time to analyse everything connected with Russian influence," the source said.